Heat oven to 350°F. Add melted butter to 12-inch cast iron or ovenproof skillet. Sprinkle brown sugar evenly over butter. Arrange 8 pineapple slices in bottom of skillet. Cut remaining slices in half; arrange around inside edge of skillet. Place 1 cherry in center of each whole and half pineapple slice. For a fun twist, add pecans or walnuts in between the pineapple slices. 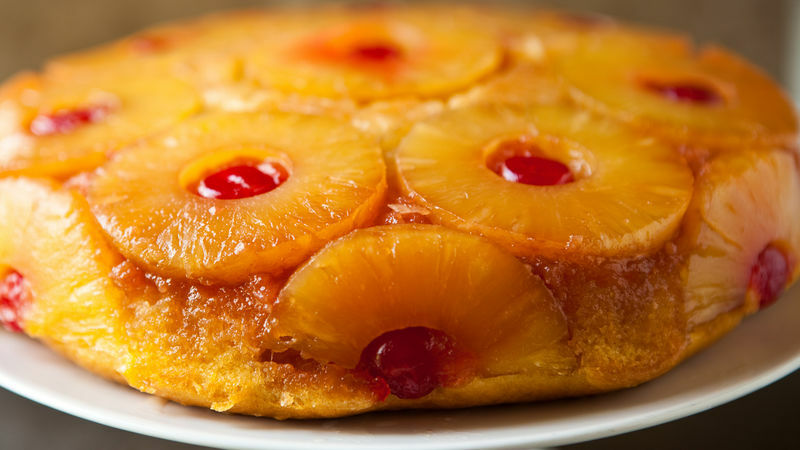 This recipe can also be made with pineapple chunks.